I have finally read my first Pratchett. If reading it alone wasn't cause for celebration, how much I enjoyed it would be. I tried to join in Ekho’s Discworld readalong over the summer, but only managed this one of the four they had chosen. But that is not because of Pratchett. August was a difficult month. In fact, Ekho thought long and hard and picked four very diverse stories from Discworld to introduce all the different strains of Pratchett, and felt this was the best introduction into the witches. I have to say, without knowing more about the witches yet, I wholeheartedly agree. Even after one book I already know I like Pratchett’s voice. Tiffany Aching isn’t new to witching anymore, and the Feegles (aka the Wee Free Men) take a little getting used to, but this story is such a great one. It is indeed the oldest story out there: boy takes interest in girl, brings hell to earth because she isn’t interested, so she marches hell straight back at him. Wintersmith carried with it some seasoned humor as well as some solemn and meaningful moments. As far as writers go, there’s a whole breadth of humor on display here that shows a well-honed craft and a great understanding of the genre. Something in this reminds me of both Diana Wynne Jones and Peter S. Beagle. Not to say that Pratchett is derivative, but there’s a sort of joke you can only make when you appreciate Fantasy the way these writers do. Tiffany as well is enchanting, despite spending the majority of the novel trying to fix a foolish mistake she’s made. Being a witch is messy and she’s heavily put on by all the expectations that the pointy has given her. 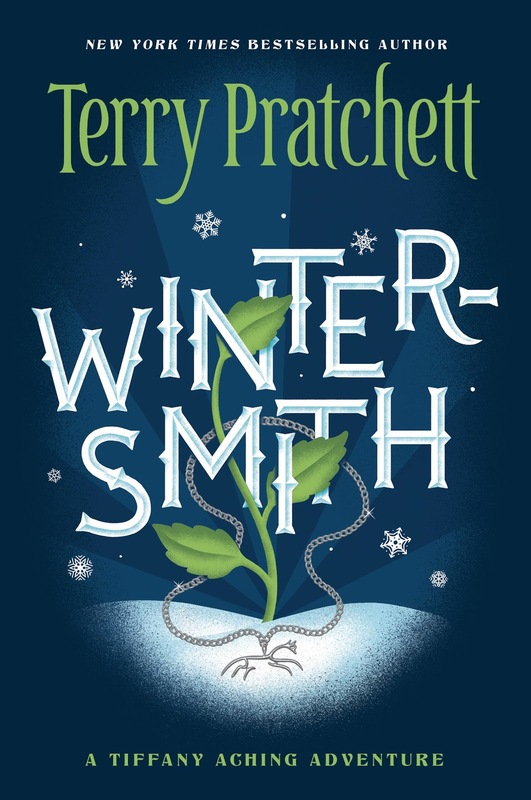 If you are looking for a good place to start Discworld, I can recommend Wintersmith. If you need something a little more non-traditional to read while snow is piling up, I can recommend Wintersmith. If you love fantasy or witches but want something a little different, a little tongue-in-cheek, I can recommend Wintersmith. Long story short, pick up this book!